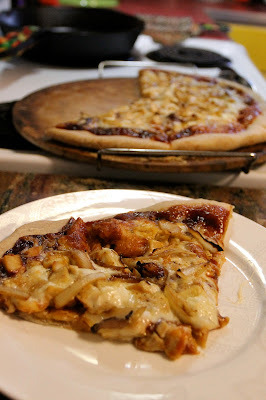 I love to make pizza, and with it being summer and all, I figured that a barbecue pizza was in order! This is one of my favorites because it's got all those great flavors of summer plus onions. My husband and I are big onion fans. 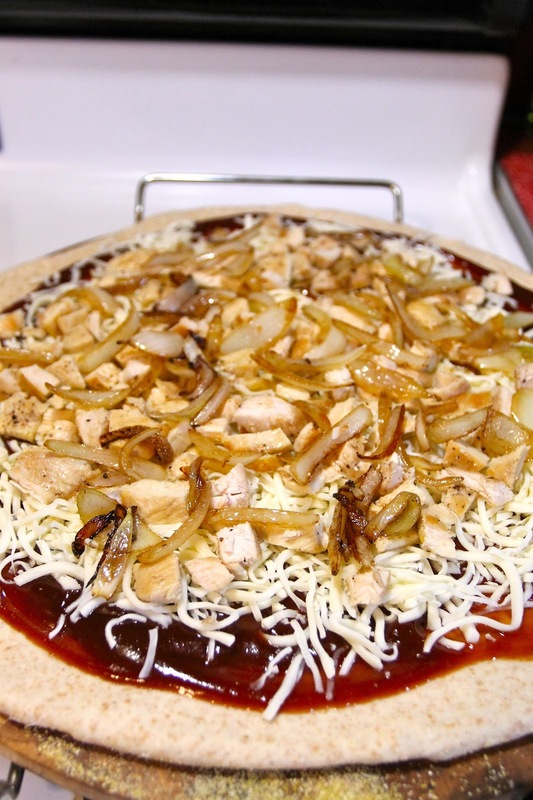 We'll put onions on just about anything. Except ice cream. We don't put onions on ice cream. Anyway, this is a great recipe to make the day after you roast a chicken and you have leftovers. I didn't have leftovers this day, but I wanted to give you that suggestion because you know, in the summer when you have leftover roast chicken it's not exactly soup weather. Now I make my own crust because I have a bread machine that does it for me. I love the fresh dough, although I will admit that it took me a while (like a couple of years) to really get the hang of rolling out the pizza dough. It's not the worlds easiest thing. So if you want to buy a pre-made crust, go for it! If you want to buy the pre-made dough, most groceries sell those too now, which I think is a great and easy option for pizza night. I used a half a pound of thin chicken cutlets for this recipe. Cook them in a skillet, then let them cool and cut into little bitties. I was just going to throw onions on this pizza. But my husband called me out...big time. He said, "People are going to rake you over the coals if you don't fry the onions! The onions have to be fried!" There are a couple of dough secrets I think we should share. 2) Pizza stone. This thing is the bomb!! I love how crispy it gets my crust. 3) Rolling out your dough. There are two things you need, patience and a dough roller. 4) Oven temp. I suggest--nay, insist-- that you preheat for at least a half hour on 450. It is the only way. The thing about pizza dough is that it's very elastic, so it keeps on bouncing back at ya. but if you are persistent, and you keep rolling it out and rolling it out, eventually, you will achieve crust perfection. 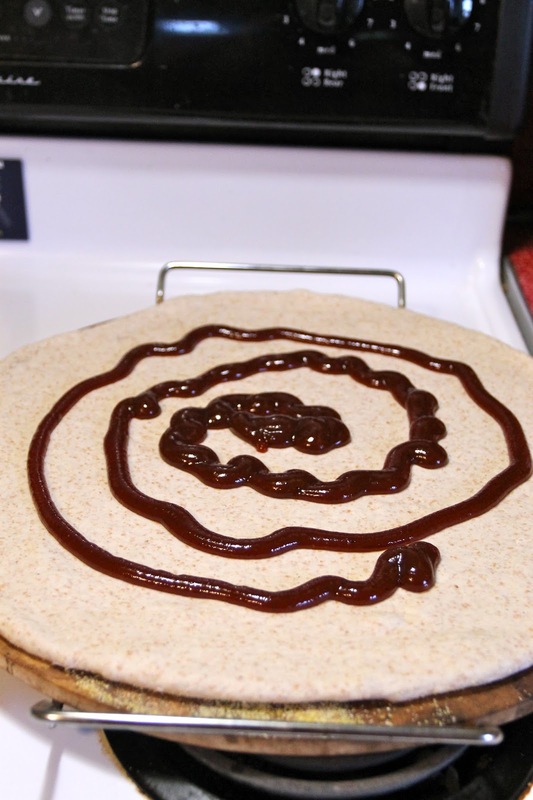 Now, when it comes to how much BBQ sauce to put your pizza, I feel that there is no right answer. You can do a little or you can do a lot. And, if you are looking for a homemade version of BBQ sauce, CLICK HERE. I gotcha covered. Is that a lot? I don't know. I just like good coverage. When it comes to the cheese, I always say to myself, "I won't use this whole package of cheese." which is two cups. You know what happens? I use the whole stinking two cups. Every time. 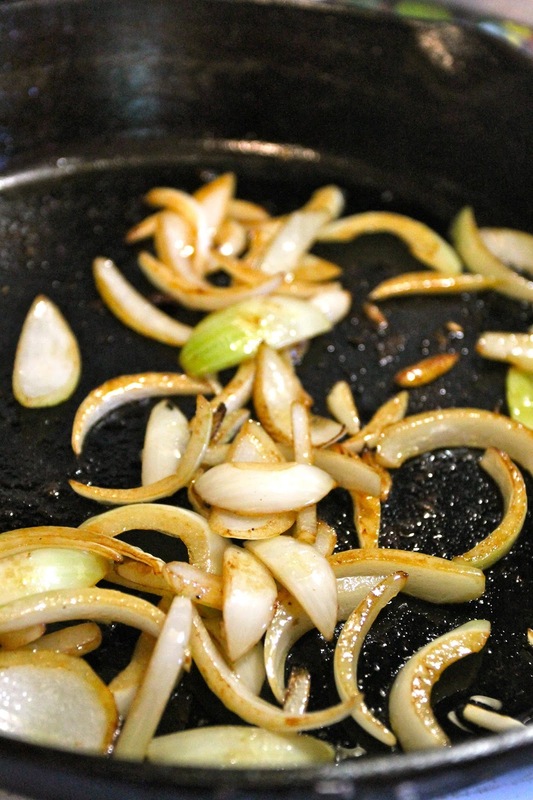 Top with your onions (which you have fried!) and your chicken. 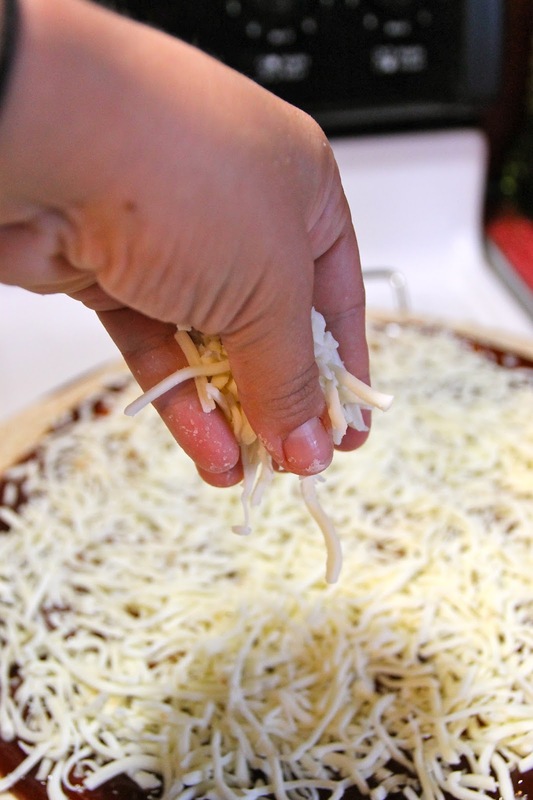 Bake 12-15 minutes on 450 and you've got pizza magic. MAGIC!!! It's just too gooooooooooooooooooood. First things first: preheat your oven to 450 degrees. I like mine to preheat at least a half an hour BEFORE I put the pizza in it. Trust me on this one. Next, heat your olive oil in a heavy skillet over medium high heat. 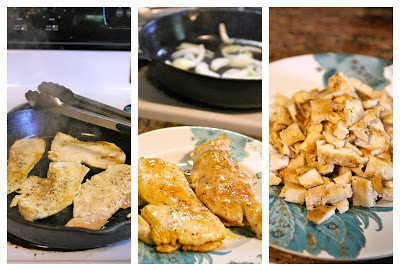 Salt and pepper your chicken liberally and then place it in your hot, oiled pan. I'm cooking with thin cutlets here, so three minutes each side and these are cooked all the way through. Remove the cooked cutlets to a plate to cool. 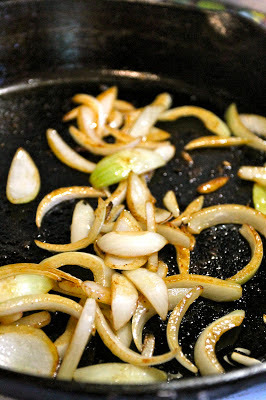 In teh same pan, add the onions. YUM! Isn't it smelling good? Cook these onions three to five minutes or until they are becoming translucent. I like to just take the pan and slide it off the burner. Your chicken should be cool enough to handle now, so go ahead and cut it up into little bits. Eat a couple and pretend you didn't. Always works for me. Set aside. 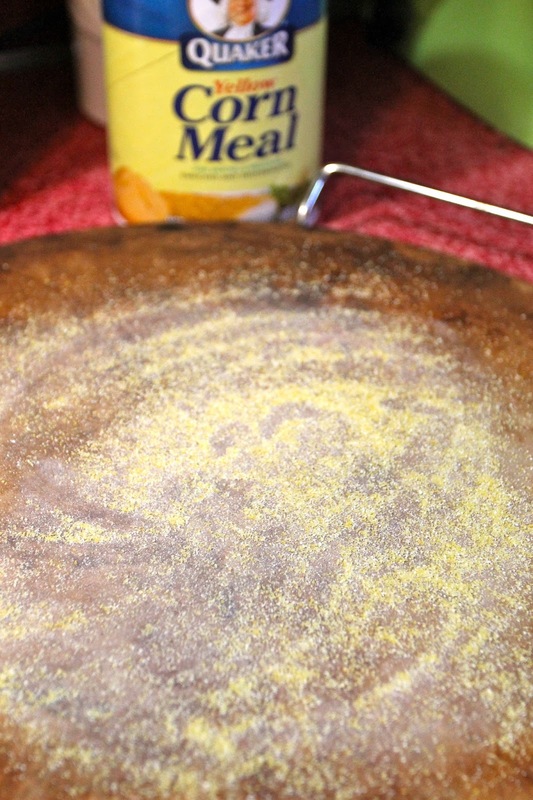 On a pizza stone (if you ahve it, if not, no worries, just use a regular baking pan) dust with cornmeal. Roll out your pizza dough with a roller and a lot of patience until you get the size you want. Place barbecue sauce on the crust and spread it out evenly. 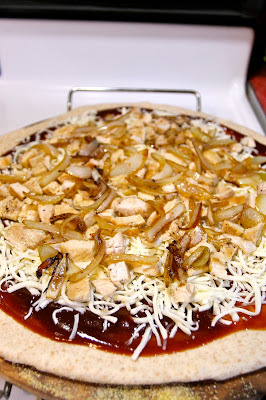 Top with the cheese, then the chicken and finally the onions. 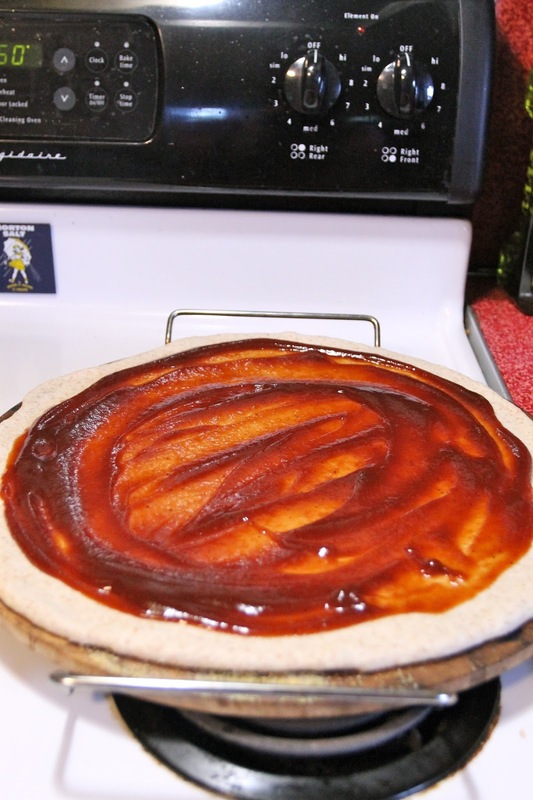 Cook in your preheated oven for 12-15 minutes or until your crust reaches the doneness you like. 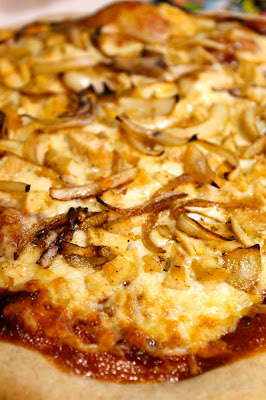 Let the pizza cool five minutes, slice and enjoy!